Spiders, Cats & Bats, Oh My! Let me know what you do with them! For the treat bags, one-side designs papers are fine, because you don’t see the backs. For the mobile, it’s easiest to use card stock, construction or papers pretty on both sides. 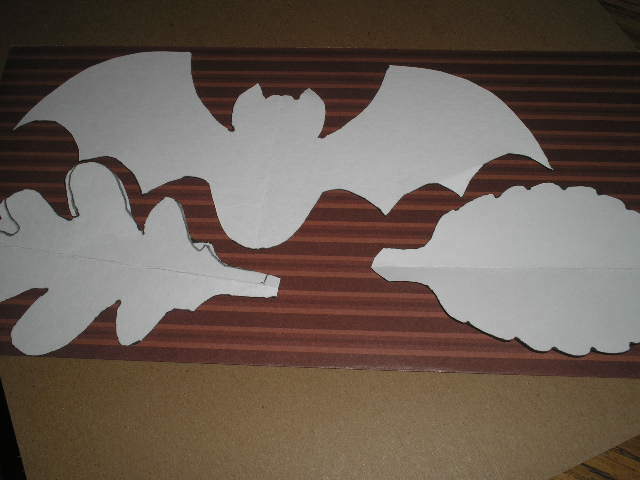 But some of the paper I used is only one-sided so I’ll show you how I prepared those before cutting out the images. 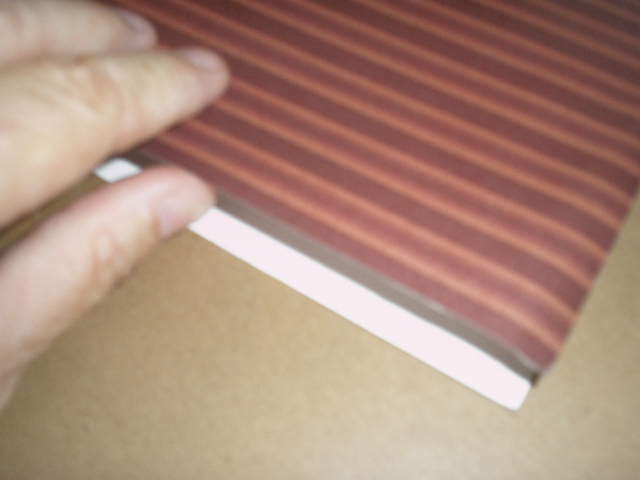 Above is a sheet of scrapbook paper, plain on the back side. Fold this sheet in half, with your pretty sides showing. Your fold can be either horizontally or diagonally, wherever you get the most room for your template(s). 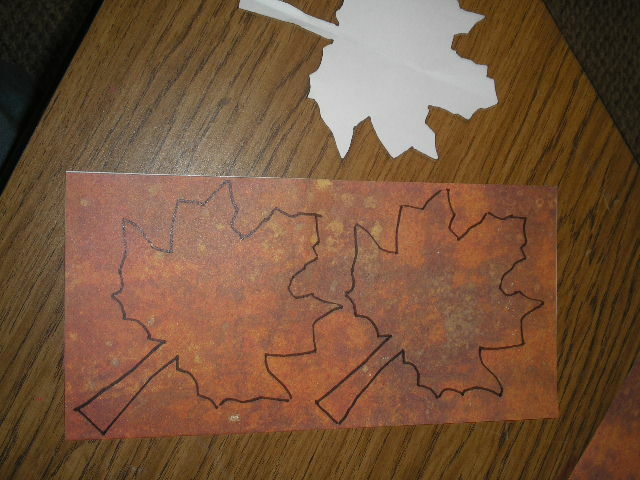 Open your paper to the white side, and apply glue to only one side of the fold. 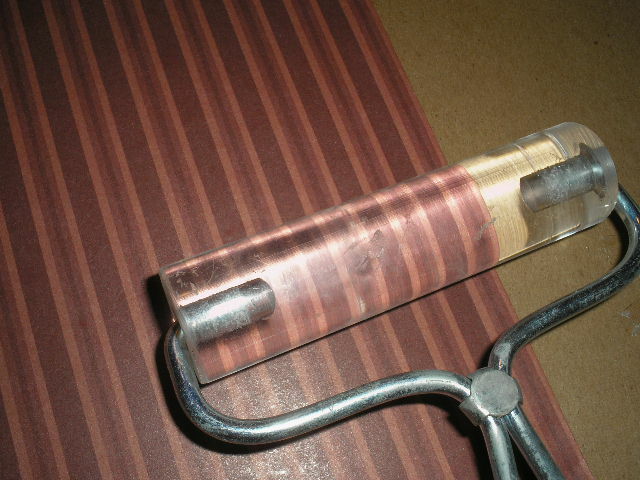 I use a glue wheel or double-sided tape here. 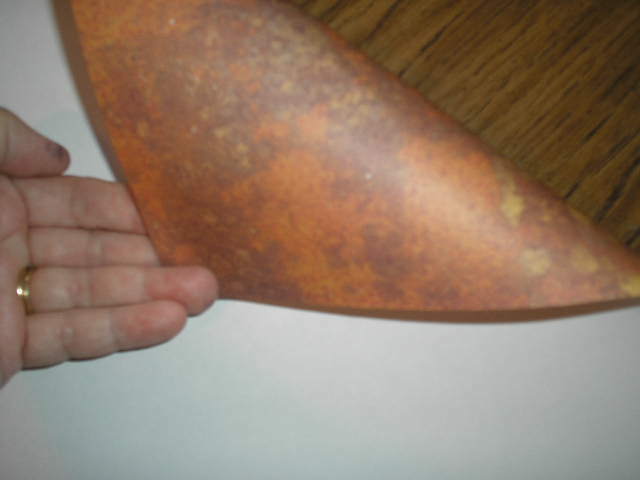 Liquid glue could be used, but would have to be smoothed and spread very thin, and would be a lot messier. After glued area is ready, fold dry side over onto the glue, and smooth. 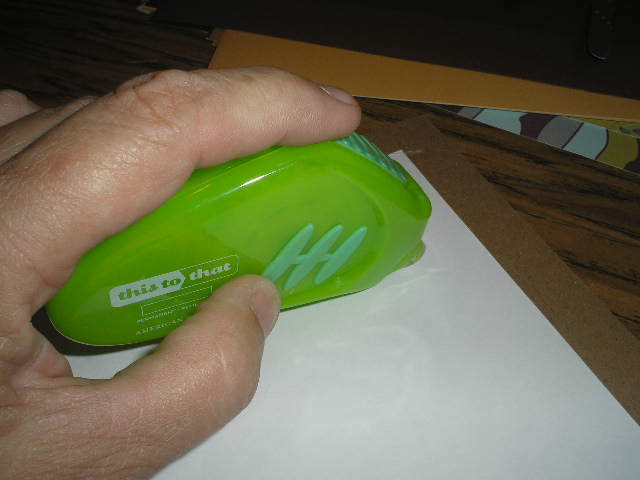 I smooth it by hand first, and then use my brayer to roll it even flatter. Now position your templates on the paper. Next just trace the templates and cut out your object. Remember, my pieces here are for a mobile, so both sides will be seen. Have fun with these and as always, don’t stress about it, just start! This entry was posted in Projects and tagged bats, cats, Halloween, spiders, spooky, summing up, supplies by Cheryl @ Artzzle. Bookmark the permalink. What a great idea! I love the mobile! Can you use any kind of paper? Most of what I used was just scrapbook paper doubled, and plain construction paper. Really light cardboard or die-cuts would work. Almost anything.